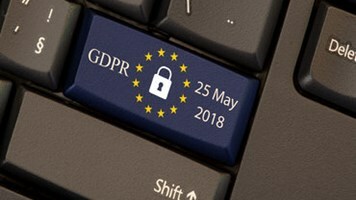 The introduction of the General Data Protection Regulation (GDPR) in May 2018 represents a watershed moment for data regulation. 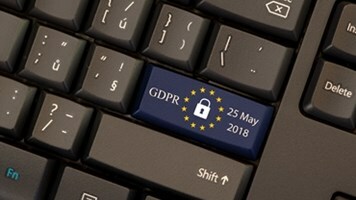 The Data Protection Act of 1998 will be bolstered by the European regulation that is set to reshape how organizations handle personal data with ramifications for every organization doing business in Europe. This legislation has created a flurry of fear and confusion globally which has been building towards its enforcement date. Scenario planning must be front and center when a company’s finances, brand or reputation is at stake; and the GDPR is no different. The regulation’s legal obligations will require those businesses in possession of European citizens’ personal data to be honest, open and transparent about their digital practices, more so than ever before, protecting the rights of natural persons. Slowly but surely, organizations are waking up to the challenge, amid concerns around the potential financial implications of what failed compliance would look like. Worryingly however, the majority of organizations are still a long way off GDPR compliance. According to a recent global survey from Veritas Software, less than two per cent of organizations currently meet the necessary requirements. It’s unlikely however that mere laziness is the cause, but rather inertia over decision-making. Simply getting started on the journey towards compliance is undoubtedly one of the biggest obstacles. Both the intricate nature of the regulation and its multiple parts, are likely to be the root causes for the lack of action in many companies. Certain measures will generate results faster than others. Our recommendation is to first examine the IT estate to pinpoint those applications most likely to be used to access personal data. A manufacturing organization on our books has 35,000 employees that regularly use as many as 11,000 distinct software titles, both on premise and in the cloud – a significant amount of software, but no more so than any other organization of this scale. But 11,000 is still a high number of software titles to filter through manually, requiring an understanding of each application, the kind of data that is likely to be accessed, where it is being accessed and by whom. Comparing the software inventory with those applications with identifiable potential GDPR risk alone means the organization can focus on less than 500 applications, as opposed to the original 11,000. A seemingly impossible task now becomes manageable. Those who comprise the GDPR team (i.e. data, legal and SAM teams) must still be able to identify which applications are accessing what data; who was using that application, how that data is being stored and where it is located. This work is now only required for the less-than-five percent of applications that are relevant to the GDPR, as opposed to every piece of software owned by the company. Those starting now must focus on what can be addressed before the deadline to make themselves a less attractive target to those regulators charged with enforcing the GDPR. To satisfy regulators and build a plan for achieving compliance in a sensible timeframe, GDPR teams should turn to the Record of Processing Activities (RoPA) (Article 30 of the regulation), which comprises five key obligations. For those consultants launching an ‘emergency’ project for clients, they should be making it crystal clear the RoPA is essential for focus and success. The inventory of applications is also key when creating the RoPA, enabling the GDPR team to spot and investigate any risks associated with the data. Teams internally and externally can then complete the RoPA and address any major risks head on. The deadline of May 2018 is only the beginning, not the end. Policy makers are already under monumental pressure to smoke out prosecutable cases in the aftermath of the regulation’s implementation. As an organization, if you cannot complete your GDPR project in time for the deadline, taking firm steps to indicate ‘best efforts’ are vital to make your organization a far less attractive target. Evidence that you are investigating the risks and have a continuing plan in place to mitigate them could – and should – be enough. We’re Losing the Race to Patch Known Security Flaws: Will GDPR Help?